One of our newer Editorial Review Group Chairs, Dr. Alain Touwaide began his stint as Chair for History of Medicine in September 2017. In the 18 months since then, we have sent him 68 titles and he has personally reviewed 40 of them. A Belgian-born American historian of medicine, Dr. Touwaide is the cofounder and Scientific Director of the Institute for the Preservation of Medical Traditions (Washington, DC). He studies the production of knowledge in Antiquity, its circulation all around the Mediterranean through Byzantium, the Arabic World, the Middle Ages, and the Renaissance up to the dawn of modern science, and its role in the shaping of world science. He has taught in different countries and done research in the most prestigious libraries and research centers in the world. He has authored over 400 publications and participated in hundreds of international conferences. His most recent publication, A Census of Greek Medical Manuscripts: From Byzantium to the Renaissance (Routledge, 2017), results from 30 years of traveling to trace and analyze ancient documents in libraries all over the world. 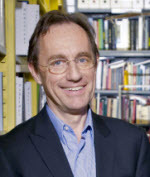 Dr. Touwaide obtained a BA in Classics at the University of Louvain in Belgium in 1975, followed by an MA in Byzantine and Arabic Philology History in 1978, and a PhD in Classics in 1981. In 1997, he earned a “Qualification to direct research programs” in ancient and medieval history at the University of Toulouse, in France. In 1991, he was elected a fellow of the International Academy for the History of Pharmacy and, later on, of the Linnean Society (1996), of the American Association for the Advancement of Science (2012), and of the International Academy for the History of Science (2014).